Holiday Foods started over 20 years ago when a former restaurant owner left her business in search of something new. She had a reputation for being a good entertainer and for creating delicious hors d’oeuvres. She received requests from area businesses for specialty hors d’oeuvres by the dozen. That’s how her business started – by creating two or three dozen hors d’oeuvres at a time for small businesses. It didn’t take long for Holiday Foods reputation to spread. As more chefs throughout the country learned of the hors d’oeuvres, the foodservice side of Holiday Foods boomed. As chefs moved around the country, they would take Holiday Foods’ business with them and helped set up distribution in their area. Today Holiday Foods occupies a 80,000 sq ft USDA and HACCP controlled facility. All Holiday Foods products are made by many hands, assuring our customers that look and taste are equal to their own. Holiday Foods has an unwavering commitment to excellence and the quality that assures you that Holiday Foods is a “world class” company bringing you “world class” products. DessertWerks Inc. is operated by a management team that has been in the food service and retail business for over 30 years. They have provided desserts to very large and small chains as well as individual restaurants and retail accounts. The company was started in 1994 and is owner operated. All of their products are manufactured by them using only the best ingredients and under the discerning eye of a talented pastry chef. They have a large selection of items to choose from and will develop special items when requested. Excellent products, competitive pricing, and oustanding customer service helps DessertWerks stand out from the competition. Their packaging is designed specifically for the frozen industry for shipping on distributors trucks or to distance States via common carriers. You will be pleased with customers positive comments when they tell you how much they enjoyed your desserts. Since 1983, the CIAO BELLA GELATO COMPANY has been dedicated to creating the very finest frozen desserts. They began as a neighborhood gelateria in Little Italy producing gelato and sorbet. Soon, chefs from top restaurants and hotels requested that Ciao Bella supply them with their desserts. Ciao Bella's consistently high quality and ever growing galaxy of innovative flavors has made it the brand choice of chefs. Ciao Bella has made high-end versions of cool classics as well as custom flavors for discerning chefs for nearly twenty years. Sorbet: A blend of 70%-80% fruit accompanied by water and sugar to achieve a smooth consistency. Ciao Bella's sorbet does not contain any colorings or any other artificial ingredients. The sorbets are also dairy-free, fat-free and cholesterol-free (except coconut and chocolate which contain natural fat and milk). Gelato (jeh-laht-o): Italian-style ice cream. 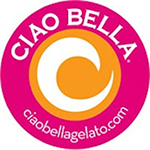 Ciao Bella contains 20-25% air by volume, compared to 60% in most American brands, and contains only 12% butterfat versus 16% in typical ice cream. Ciao Bella's gelato, based on a family recipe from Torino, Italy is primarily hand-made in small batches with high quality ingredients. As a result, the gelato is smoother and creamier in consistency, with a dense texture and an intense flavor based upon lower butterfat. Legacy Foodservice Alliance is a distributor marketing and purchasing group offering a new vision of customer service to the foodservice industry. The founders are people who are Legacy names in the business, and innovators who have taken a long view of the business cycle, the industry, and its needs. Drawing on decades of cumulative experience and the positive influences of the past, Legacy is building The Distributor Group of the Future. Click here to view the Legacy Foodservice Alliance homepage.